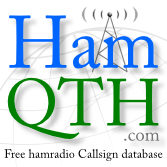 If you navigate to "QSO list/QSL/QSL Sent" is'nt there a list of selections you can choose and after every selection there is letter/letters inside parenthesis. It should be quite self explaining. Send to lotw or eqsl adds Y . Both them have own columns. qsl_s is for manual markings only. At receive qsl side marking adds Q, not X as the help file says. Receiving lotw or eqsl adds L or E.
At New QSO you can also set qsl_r and qsl_s and the selections are same as in "QSO list/QSL/QSL Sent" but additional select for receive there is also ! (exclamation mark). I think it means "I have not received qsl, what is the problem" but you can use it how ever you like. Actually you can use any letter you want. There is no limit for that. qsl_r has definition varchar(any character)3 (max length 3) and qsl_s varchar(4) in database. At "QSO list/Filter/Create" you can use your own letters or all predefined letters. Note that filter for empty column has selection "empty" there.